For years, historians have tended to cast Social Democratic cultural efforts during the Weimar Republic as insufficiently progressive, too “bourgeois” in outlook and everyday practice, and therefore ineffective in building a solid ground of working-class support for Germany’s fledgling democracy. A general consensus has evolved, according to which the weaknesses of the moderate workers’ cultural movement contributed to the Social Democrats’ failure to hinder the Nazis’ accession to power.1 This chapter revisits socialist cultural mobilization in a less judgmental and less teleological way. 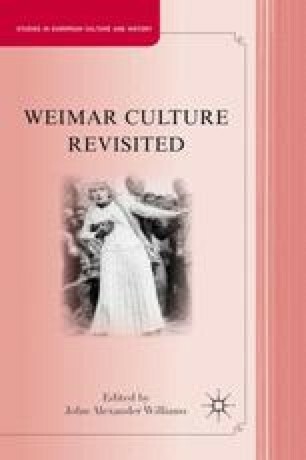 My analysis avoids the common tendency among scholars of Weimar to begin with liberal democracy’s failure and work backward in a quest to uncover the causes of that failure. I focus here on one organization within the vast network of socialist cultural organizations, the Tourist Association “Friends of Nature” (Touristenverein “die Naturfreunde” TVNF).